Dubai, UAE, June 7, 2018: The continuous search for artistic creations that can exceed the known limits has finally reached this new, incredible objective, where fragrances are created by following the flow of inspiration that is the very soul of the spiral. Molecules and notes all now float like stars, on the edge of this spiral parabola, thanks to alchemical harmonies which counterpoise their molecular weights, so as to evolve in hundreds and thousands of different ways in the same instant and persist the whole day! 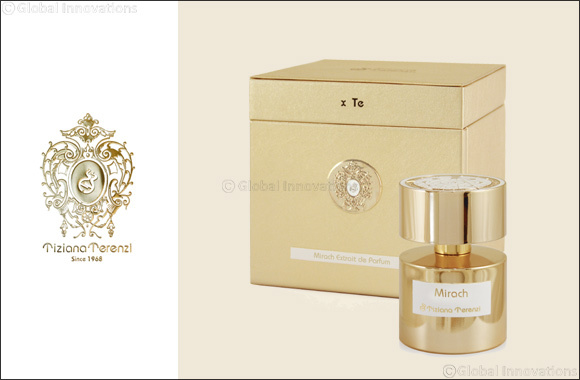 Thanks to this unique evolutionary and never before implemented technique the fragrance acquires a simply extraordinary duration on the skin, exceeding all the limits of 'lasting' up until now. With this interstellar voyage, Tiziana and Paolo accompany us to a new world of artistic perfumery. We have finally entered the new Era of spiral perfumes or better yet, as we jokingly call it in Casa Terenzi, 's-pyramidal' ! !